We found 6880 results matching your criteria. SDC has a variety of standalone digital keypad and proximity card access control systems equipment to meet virtually any need. Alternative to wall mounted access control or switches for entry doors. Bollard post provide visibility and meet accessibility guidelines. 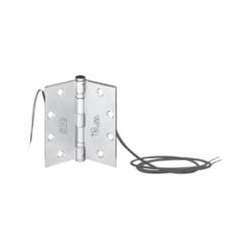 Practical solution for surface mount or in-ground installation. 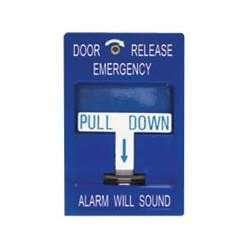 The Exit Check electromagnetic delayed egress lock is designed to delay egress through perimeter exit doors for 15 or 30 seconds. 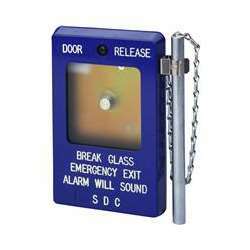 Concurrently an alarm sounds while security and personnel are alerted of unauthorized egress. 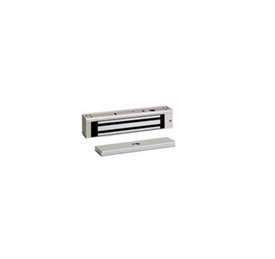 The Exit Check electromagnetic delayed egress lock is designed to delay egress through perimeter exit doors for 15 or 30 seconds. Recommended for access systems without computer management capability, SDC Control and Annunciator Consoles provide a means of central supervision and control of single and multiple openings within a facility. Request-to-exit push bars provide uninhibited egress through access controlled openings equipped with magnetic locks, while eliminating the need for prior knowledge of egress operation and enabling egress with a single natural motion. 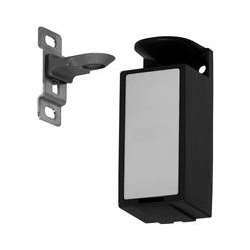 SDC EH Series magnetic door holders, are designed to hold doors open and release the door by remote switch or fire life safety command center activation. 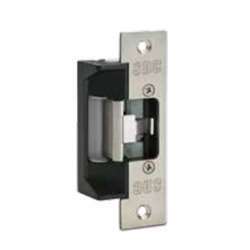 Recommended for high security interior door and cabinet applications where electromagnetic locks are not required. 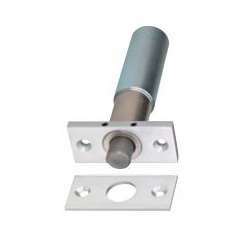 The SDC S6000 Spectra series panic and fire rated exit devices are available in rim mount, mortise and surface vertical rod configurations and are UL listed and ANSI A156.3 Grade 1 compliant. HiTower, Selectric, and Electra locksets provide both the locking and latching features required for fire rated doors to meet security needs and fire life safety code requirements. The SDC Electromagnetic Lock is Suited For Interior Doors, Perimeter Exit Doors and Entrances that Require Failsafe Emergency Release Capability. 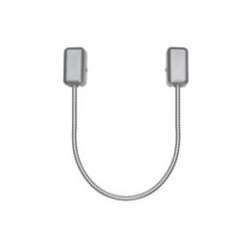 cost import or private label brand access control hardware. The SDC Request-to-Exit Switch series is available in a variety of exit button and push button styles and contact confiqurations to fit several application needs. The SDC 7000-DG Laser Guided Wire Raceway Drill Fixture enables wire raceway preparation through particle filled and solid wood doors. SDC specializes in the manufacturing of safety and security access control hardware products and engineering for mantrap system, airlock sytem and communciating bathroom system needs. 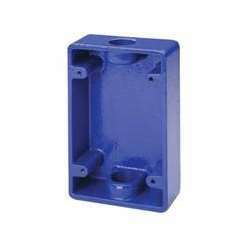 The new SDC S6000 Spectra series panic and fire rated exit devices are available in rim mount, mortise and vertical rod configurations and are UL listed and ANSI A156.3 Grade 1 compliant. 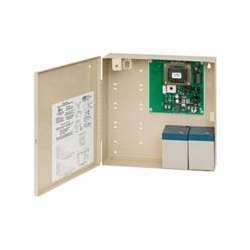 Monitor Strike Kits are designed to retrofit standard door strikes and Door Status Sensors indicate a door open or closed. UL Listed filtered and regulated DC power, control logic, component interface, alarm interface and battery back up requirements of single and multiple access controlled openings. 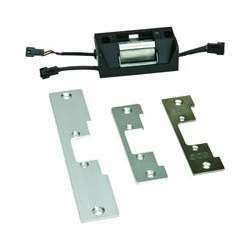 Installed in the center hinge position of the door, PTH Power Transfer Hinges provide the concealed wires required to transfer power from the frame to electric hardware in the door for control and monitoring capability. SDC wireless battery powered electronic door locks and keyless entry system provide controlled access for basic and multi-level high security requirements. 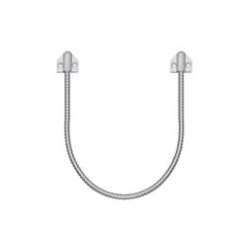 SDC PTH-4Q Four Conductor Power Transfer Hinge, Dull Chrome, 4.5" x 4.5"
SDC 632RF 2A Power Supply, 11" x 11"
Security Door Controls, also known as SDC, is in the business of developing, manufacturing and marketing mechanical door locks and exit devices, as well as access controls, electronic locking devices and security systems across the globe . 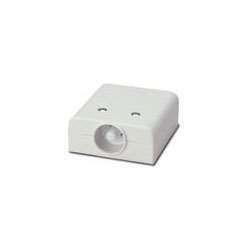 Security Door Controls products are sold through security products distributors, such as JMAC Supply. Security Door Controls also designs and manufactures products for several Original Equipment Manufacturers who sell SDC products under their own labels. SDC holds many patents and trademarks, such as EmLock, HiShear, HiTower, Selectric, and many more. SDC’s locking systems can be found in, industrial, commercial, schools and universities, airports and transportation facilities, government centers and military bases, and almost anywhere access control of a door is needed. SDC is a clear leader in the innovation of products within the electronic security and access control space. SDC products can be found in countless number of facilities, such as Skyscrapers throughout the country. 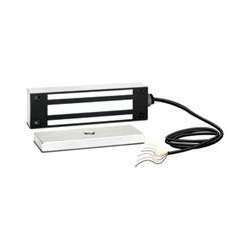 Bank of America facilities, U.S.A.
Security Door Controls products are manufactured mainly in the United States. Executive management of the firm is involved in the day-to-day operations, and is solely dedicated to the needs of the security industry. The majority of products manufactured overseas by SDC are sold outside of the U.S.
SDC is dedicated to focusing on high quality access control hardware engineered and made in the United States. SDC is totally committed only to the engineering of the highest quality access control hardware and the products are very competitive with both low and high end competitive brands.